In today’s world when we come across lace in a fabric store we are often find the same synthetic machine made lace, floral pattern and cheap sheen that lacks the richness you’d like to expect. In mass produced garments this is the type of lace you would normally find. Once you come across beautiful high quality and if you a lucky hand made lace you can easily be drawn to its’ intricate yet delicate web and imagine how it could have possibly been created by hand. This beautiful craft is based on traditional and time consuming bobbin lace technique which produces this alluring and luxurious textile which has been adorned by every royal court in Europe for centuries. Surviving the ever evolving fashion trends and popularity there is nothing that is more feminine than lace. What’s happened to bobbin lace making today? If you have any European lineage you may have had a grandmother or a great grandmother who practices lace making as I have. Is this craft still being passed on from generation to generation? Perhaps I have attached a romantic notion and curiosity to the intricate art of lace making that has lead to my interest and wonder of what lead to its’ industry decline. The effects of machine made lace and the impact it had on fashion and the textile industry. Also I will look at the role it had with women’s labor in rural areas. Within this discourse looking into the introduction of machine lace around the industrial revolution to the First World War. I will be focusing my paper on the struggle that hand made lace has had once machine lace was introduced, the social and economic impact it had on Britain and it’s attempt to spread the importance and knowledge of handmade lace as a craft. The start of lace can be traced to ancient Egypt and Greece (Palliser history of lace) but the start of bobbin lace as we know it today got it’s start in Italy but some debate it was also started Flanders around the 1500’s. Lace is an “open work fabric where the combinations of open spaces and dense textures form the design” (Bobbin Lace Kiliot) produced with the use of many thread wound bobbins, pins and a pillow. Historically lace has been a commodity mainly bestowed to the upper class and produced by the lower class. Yet it took great talent and skill for one to become a great lace maker. The women who would continue producing lace often passed the knowledge on the their daughters. 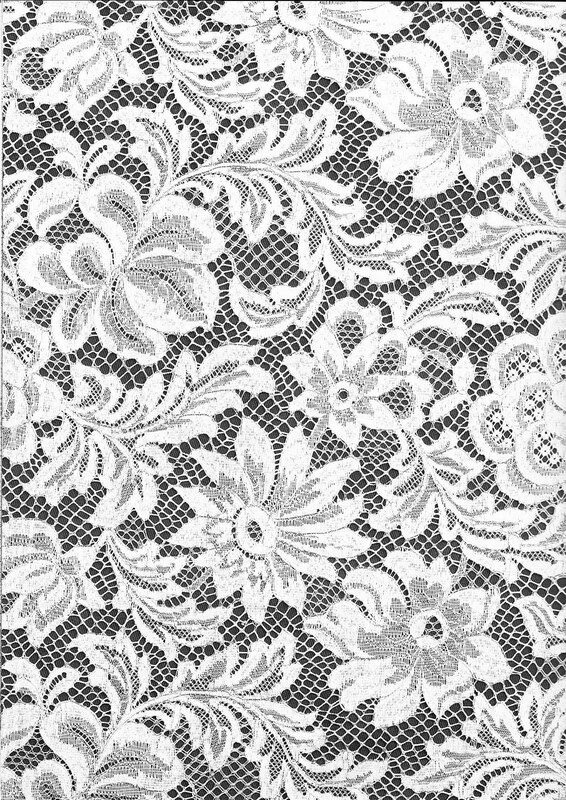 Lace styles changed along with fashion as did the popularity of techniques from certain countries and designs would become preferred. This caused the lace industry to go through high and low periods of demand. In England they owe much of what they have learned about lace to the Flemings who shared their talents in lace making with the British after several emigrated. In 1768 John Heathcoat invented the bobbin net machine which was painted in 1809. (bobbin lace kliot) The machine allowed a net like lace called Brussels net which was used as a base where lace can be appliquéd and hand embroidered on. (lace ancient and modern) The industrialization of lace was in full effect by 1840 replacing the skilled with the less skilled workers. (lace the elegant web) Skilled lace workers were shocked as these machines could produce thousands of yards of lace that was whiter that the lace they had been forced to produce. This sort of remarks actually gave an added value to bobbin lace. (lace ancient and modern) With fashion styles changing at a quicker pace machine lace manufactures were worried about making the wrong style of lace as it took time to set up the machines and the time it to make they ran the possibility of producing the wrong type of lace. The designer Charles Worth was the first to use machine made lace and considered as an acceptance for the product. During this time the number of hand made lace workers has fallen from hundreds to a few dozen per village in England. Around 1870 it created a market for trading antique lace as machine lace lacked in creative design. Also around the same time growing interest in peasant lace begun which was lace made in rural areas across Europe. In the late 18th century a revival of hand made lace industry started taking place. Lace making was also re introduced in some schools across England and Europe. It had been recognized that hand made lace was an art that had to be taught as there were not very many left during lace’s period of instability. While men operated the machine lace industry women retained to take back hand made lace production. Hand made lace industry took place in the home “outworkers” and women were able to take care of their families and while they worked. They would follow designs given to them by the manufacturers and when they would bring the finished lace back it would be assembled by a group of workers. (harpers bazare) Lace making for these women provided a supplementary income as usually their farms mainly provided most of their important family needs lace making was a little extra comfort for the home. (european women and pre industrial craft) It is fortunate that these women continued to make lace and were able to earn their own wages at a time when so few women worked at all. Also in doing so they were able to keep the hand made lace-making tradition alive and also helped them keep up with the demand. Although it seems that these women were not paid very well for the long hours they spend over their bobbin pillows, as they had to provide the materials and supplies themselves. (rural women workers) Machine lace trade had forced these workers to produce the lace and a cheaper price. The First World War brought on the collapse of the lace industry from 1914-1918. All lace production was halted, as lace was a luxury and not a necessity. This was the case for both hand made lace and machine. For the first time women were involved in the war effort which gave them a taste to take on new roles in society. (lace a history) The lace industry slowly started up again in the late 1920’s (lace a history) Unfortunately only to decline once again with WW2. After the war Hand made lace production had no choice but to end. Even though hand made lace was no longer produced as an industry it still continued onward as a craft. Professionals and amateur lace makers still practice. From all my research I can definitely say that the 20th century was the ultimate decline in women who produce hand made lace. The machine made lace; the 2 World Wars are the main reasons for its depression. Women mainly produced the lace and in the 20th century many changes occurred for women. Women became educated earned the right to vote and went out into the world and got jobs. While this was happening hand made lace was not looking very appealing. While this is the reason in the decline in popularity of hand made lace making it doesn’t mean has not continued. Lace guilds and centers are present all over the world. According to Lace the elegant web it features 64 lace centers from Europe, Japan and North America. These are also several amateur lace makers who make lace as a hobby. Although hand made lace production has not been able to become part of the industry there are some contemporary lace makers who make and sell their crafts to individual’s collectors and also museums. For example Silvia Ferdorova creates wearable items like boas and wrist cuffs by using traditional bobbin lace technique. She uses unconventional materials such as copper wire, plastic bags and fishing wire. Her works become contemporary lace art pieces. The lace industry has been though an incredible rollercoaster of struggle with industrial revolution and war but as a craft I do believe it still resides and is a respected craft that will continue to be passed on as generations will continue to be seduced by it’s intricate beauty. 2) Montupet, Janine. Lace the elegant web Machine made lace Bibliography Beebe, C.D. Lace, Ancient and Modern. New York: Sharps Publishing company, 1880. Browne, Clare. 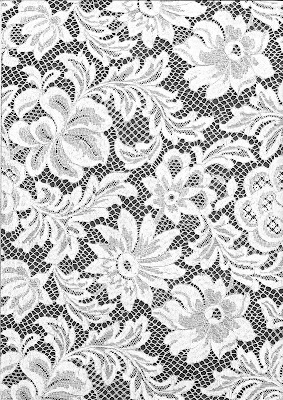 Lace from the Victoria and Albert Museum: V & A Publications, 2004. Freegood, Elaine. “Fine fingers”: Victorian Handmade lace and Utopian Consumption: Victorian studies, Vo. 45, No. 4 Summer 2003. 625-647 Felkin, William. A history of the machine-wrought hosiery and lace manufactures. Cambridge: W. Metcalfe, Trinity street, 1867. Kliot, Kaethe and Jules, Bobbin Lace, New York: Crown Publishers, inc, 1973. Lefebure, Ernest. Embroidery and Lace; their manufacture and history from the remotest antiquity to the present day. London: H Grevel and Co. 1888. Levey, Santina. M. Lace A History: Victoria & Albert Museum: Great Britain: W.S. Maney & Son Limited, 1983. Montupet, Janine. Lace the elegant web. New York : H.N. Abrams, 1990. Palliser, Mrs. Bury. History of Lace. London: W. Clowes, 1865. Verdon, Nicola. Rural Women workers in ninteenth-century England: gender, work and wages. Great Britain: The Boydell Press, 2002. (p146) Wright, Thomas. The Romance of the Lace Pillow. Olney, Bucks: H. H. Armstrong, 1919.